During the last five legislative sessions, Michael worked in the Texas House, including for two chairmen, and over the years covered 14 different standing and select committees. 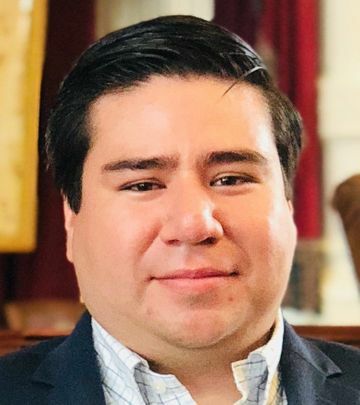 This range of legislative experience has provided him with an understanding of the many diverse issues that come before the Texas Legislature. In his time helping represent the heart of the Permian Basin in Austin, he developed important local and statewide relationships that will help the Association and its member companies in their efforts to effectively advocate for the safe and responsible development of oil and gas resources in the Permian Basin. A student of both the political and general history of the state, he credits being the youngest of three children, with two older sisters, as his introduction into politics and diplomacy. Michael has also advised several political campaigns, including a few successful ones. He enjoys not taking himself too seriously, but holds a great deal of respect for the institutions and the people that have made Texas an envy of the world. When he can, he’s out enjoying all the incredible things The Lone Star State has to offer, often with friends and occasionally with family, including his loving parents and aforementioned sisters who reside in South Texas with their families. He seriously dislikes writing autobiographies, or pre-obituaries, as he calls them, but PBPA insisted. He does, however, very much like Tex-Mex, live music, Texas athletics, and many other things, but is mindful of space constraints. All that aside it is his sincere and simple hope to work to advance the interests of the hundreds of member companies and the thousands of individuals that live, work, and raise their families in the Permian Basin. Please feel to reach out to him if he can ever be of service.